Baader now makes the perfect complement to your Celestron NexStar4, Meade ETX , or C90* telescope. The Baader NX4-SC # 2958500A adapter allows you to adapt various photo-visual accessories that use standard 2" SCT thread to these telescopes. This adapter is one part of Baader's item # 2958500. It has a female 1.375"x24TPI (almost 35mm) thread on one side to attach to your telescope. The other side has a standard male SCT thread (2"x24TPI). 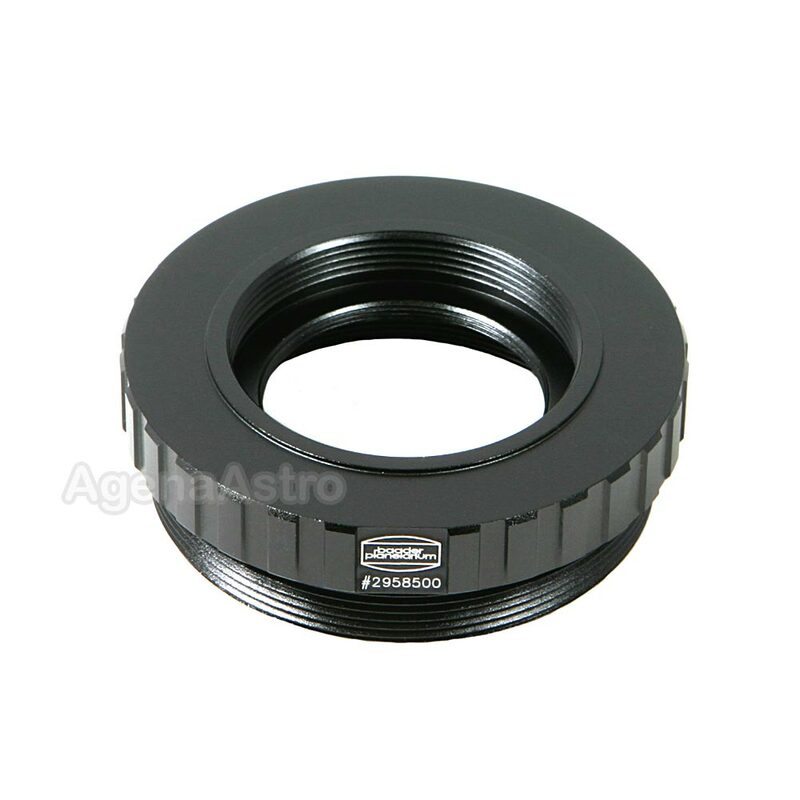 With this item you can attach standard SCT threaded accessories meant for larger SCT scopes to your telescope (before doing so, however, make sure that you have sufficient clearance from the telescope's focuser knob so that it does not interfere with your added SCT accessory). This adapter also incorporates an internal 1.25" female filter thread which allows you to install any 1.25" filter inside the adapter. This allows you to direct couple any accessory and still be able to incorporate photo or visual filters in the optical path. Or install a clear UV/IR cut filter to completely seal your telescope from dust and the elements. It was exactly what I needed to attach a camera to the back of my Nexstar 4.